Five online tools that encourage students to get hands-on experience with nature. In a world filled with smartphones, tablets, video game systems, and virtual reality, it’s more important than ever that kids get outdoors because lack of exposure to nature impacts their health. According to a number of studies, being in the outdoors can decrease one’s stress level, accelerate healing from an injury or illness, and increase one’s ability to focus—even in children with attention-deficit/hyperactivity disorder. But as kids have so many alternatives to going outside, they get less exposure to nature—a phenomenon that journalist Richard Louv calls nature deficit disorder. Compared to previous generations, say Louv and Cheryl Charles, founding president of the Children and Nature Network, young people today spend more time studying, participating in structured activities like sports and youth programs, and using computers, and less time engaging in unstructured play outdoors. This is causing an array of negative side effects, including “a dramatic rise in obesity... as well as vitamin D deficiency and other health issues that may in part be related to low levels of outdoor activity and a sedentary lifestyle,” say Louv and Charles. And kids are exploring the outdoors less, leading to a greater fear of strangers and the outdoors. The lack of time and lack of access to nature in a more urban society lead to young people being less aware of and engaged with nature. Contact with the environment benefits not just the students but the environment as well—experiencing nature before the age of 11 is linked to developing positive environmental attitudes as adults, according to a University of Cincinnati study. So children need direct exposure to nature. Given their increased access to technology, can we use technology to enhance that direct exposure? The answer is yes. 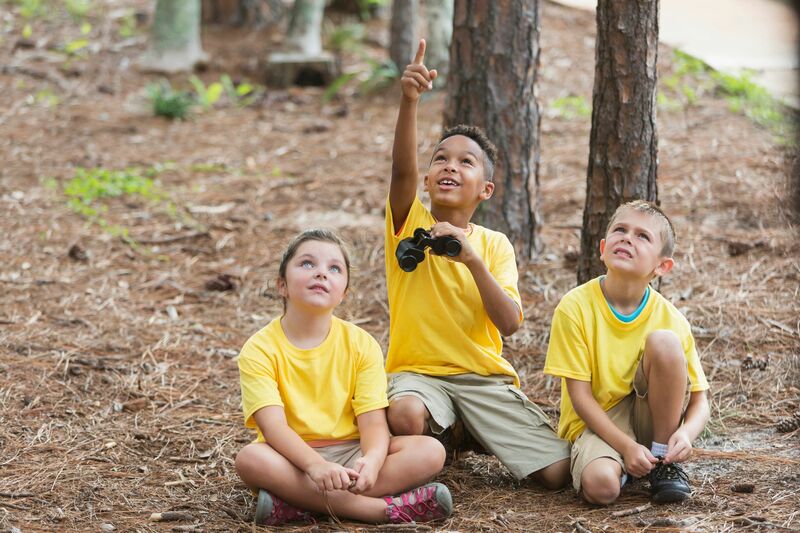 User-friendly tools can enhance your students’ learning and encourage them to get outside and connect to the outdoors. If your students are too young to use technology, have them make observations while you record their findings. The below resources are best for second grade and above. Journey North and Project Noah: These websites allow your students to report sightings (of robins, earthworms, frogs, mushrooms, etc.) and share pictures for a variety of projects or missions that help scientists across the world. Having students focus on an animal they’re already interested in will further promote their commitment to conserving that animal. Journey North and Project Noah also provide excellent lesson plans and activities that can be used in the classroom. Application: Take your students on a nature walk and have them record organisms at different life cycle stages. Project Squirrel: This is a great project that can be done at school and at home. Project Squirrel allows your students to become citizen scientists and report their squirrel sightings. Their reports help scientists determine where squirrels are found and whether or not the local environment is changing. Application: Place different types of foraging food (corn, peanuts, acorns, sunflower seeds) out around the schoolyard and have your students observe and draw conclusions on which foods the squirrels preferred, whether one food was preferred during certain seasons, or whether the squirrel ate the food right away or stored it. iNaturalist: This tool allow students to submit photos of plants and animals that they cannot identify. Scientists from around the world will identify submissions and share their knowledge. Participation in iNaturalist (iOS, Android) will increase your students’ connection to nature and to people across the world and encourage them to become lifelong learners who are actively involved in the community. Application: Coordinate a school-wide “bioblitz”—an attempt to record all species in a certain area—and see how many different species your school can record and identify on the property within an hour. Project FeederWatch: Project FeederWatch will supply your class with a research kit containing a bird identifier and a calendar to report your findings. All you and your class have to do is set up a feeder, bath, or flowers to attract birds and record your findings. The observation schedule is completely up to you and very flexible. Many teachers have found that this project sparks their students’ interest not just in birds but in science as a whole. Application: Have your students observe birds throughout the year and determine which species are most common during each season—and then connect this to their migration patterns. Integrating technology in your classroom is a great way to connect your students to nature—increasing their likelihood of becoming environmental stewards and making a positive impact on our planet.